Insensation was founded in Switzerland on January 24, 1997. For the next 20 days, we will celebrate each day with one of our unique projects showcasing our outstanding interior design products. 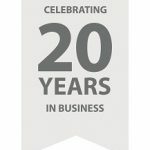 Today we celebrate 20 years in business. Like 4000 other clients, let our frameless doors, co-planar doors, entrance doors, security doors, sliding, pocket, glass and metal doors enhance your architecture. Plan with us. Insensation has participated in almost as many exhibitions as our 20 year existence. They have been encouraging, showing architects many innovative products for the first time ever. Perhaps the greatest of our exhibitions was in Bern, back in 2007, when a staircase competitor came on our stand and loudly demanded we leave the exhibition and not show our products there. That’s when we knew we had something real good! 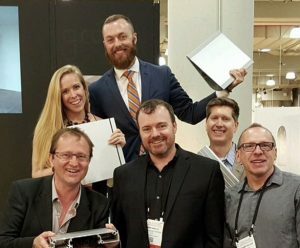 Last year we had our debut in New York at the ICFF with two stands and thousands of visitors. Last week, over 10,000 visitors from the NAHB exhibition in Orlando saw our illuminated glass staircase at the New American Home 2017. We look forward to meeting more of you very soon. Over the years, Insensation has enjoyed an impressive growth. We started in a small warehouse in Basel, Switzerland and sind that time have served amazing clients from offices in Zürich and Lausanne in Switzerland, Vienna in Austria, Steinen in Germany, Be’er Sheva in Israel and from New York, Los Angeles and Miami in the USA. Our USA headquarters was founded two years ago today in Manhattan. 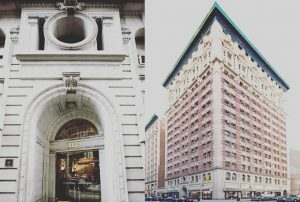 Architects and developers are welcome to visit our architectural doors and staircase exhibit at 1133 Broadway in New York City. Insensation has always spent a lot of time caring about details. 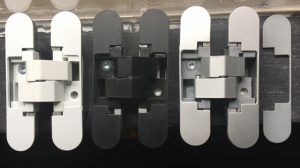 Whether it is the exact shape you want your handrails on your staircases, or the color of the hinges you need on one of our 20 architectural door models, we ensure that your vision is implemented in a sophisticated and aesthetic manner. Our ranges of sustainable staircases and interior doors are completely complementary, adding tremendous value to your real-estate investments. Many property developers trust us to keep their investments bringing the maximum profit. One of our favourite materials for staircases is black stone, specifically slate. The structure and color nuances of slate provide a luxurious harmony with anodised aluminum – which is the core material in our sustainable staircases. Slate is extremely durable, making these staircases a favourite in high traffic areas and in houses in the mountains and at the seaside. Insensation is sensitive to the cultural interpretations of good design. 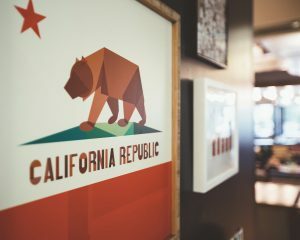 Having our business roots in Europe, and management talent with lots of experience in the the New York and London loft scene, we notice a huge difference in contemporary American and European design ideas. This picture displays these differences. The house is an old European house, which you can see from the vintage staircase, the interior design is modern, with floor-to-ceiling windows, architectural doors, a glass walkway, sustainable aluminum staircases and railings with minimal glass and aluminum structures. The combination requires skill and some forward thinking to escape the traditional design of panelled doors and wooden staircases. This is what differentiates us from the standard door and stair manufacturers. 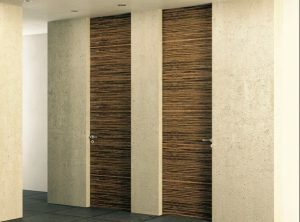 We have specialised in minimal interior doors since our inception. 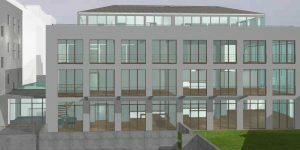 While most of our projects are high-end residential, we have had the opportunity to run massive office projects for major insurance companies like Swiss Mobiliar and companies like Toyota in Germany. The project pictured here was for a large general contractor’s office. They were clear about their wishes – black and minimal – which resonated perfectly with us. At Insensation, we know that good design often has to do with the reduction and limitation of materials, textures and colors. When a client asks for our input, we are more than pleased to show them that we live the principle of ‘Mastering Minimalism’ in all we do. Visit our showroom on Broadway in New York, and see how these principles will help you in creating outstanding interior architecture. In our 20 year history, we have been proud to serve over 4000 clients in 8 countries. Our clients are general contractors, interior designers, entrepreneurs, photographers, car dealers, lawyers, psychologists, sport stars, bankers, film producers, carpenters, engineers, politicians, Porsche-mechanics, research scientists, restauranteurs, management consultants, doctors, museums, stores, rehabilitation centers, property developers, electricians, massage therapists and real-estate specialists, to name a few. 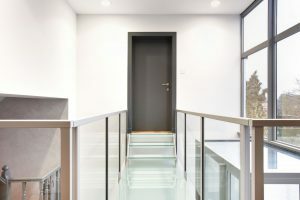 Many architects, most recently from the most prestigious US architecture firm, have implemented our architectural doors and staircases in their own homes. In January 2004, we launched this staircase on the Swiss building exhibition. 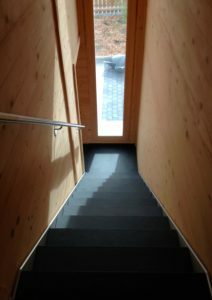 It was something the swiss had never seen, being used to traditional wooden staircases for centuries. Since that time, we have sold millions of dollars in sustainable staircases in this small alp country, in everything from traditional swiss chalets to exclusive penthouses in the larger cities. Welcome to the new world. Over the last 20 years, we have worked with some very talented people. 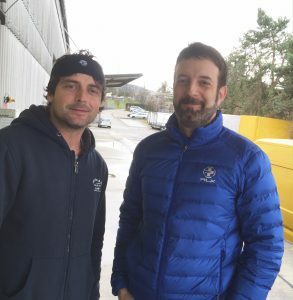 Our best employees have been those with entrepreneurial skills, like these two guys Tim and Markus, who have made enormously valuable contributions to the technical and commercial aspects of our company. We salute all our employees, past and present, in 4 countries. Thank you for your dedication. Insensation prides itself on working with sustainable products manufactured in large part with aluminum. In fact, our largest partner is Alumil – one of the largest aluminum manufacturers in Europe, who has done such great projects as the new windows on the Google building in New York City. Aluminum makes up a great part of the earth’s crust and 96% of all aluminum used in the building industry is recycled, making it more ‘green’ than almost any other building material. Form and function combined to help future generations. We fast forward in our 20 year history to 2017. Insensation was chosen last year to have our sustainable staircases featured in the 2017 New American Home. The house is a masterpiece, showcasing the very best in design and engineering for modern lifestyle living. 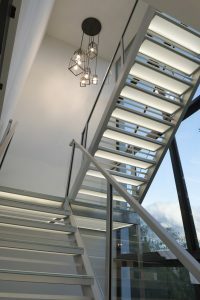 Our white glass, low-energy illuminated, sustainable staircase connects the two levels of this amazing property. 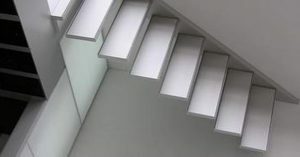 The lighting is adjustable using an App on your smartphone, the structure of the staircase is manufactured in anodised aluminum – a timeless and high-value alternative to rough steel staircases. The 2017 New American Home will be featured during the 2017 AIA Annual Convention in Orlando. Our fascination with saving buildings and creating lofts continued in 2002 when we bought a large warehouse building in Basel, Switzerland. We converted it with talented german and british architects into the first real lofts in this little city, and each unit sold for about $1 million, which is a lot for a small town with 100,000 people. Each of the lofts was custom designed and built by Insensation, with some featuring indoor saunas and interior elevated walkways. This project further taught us of the use of environmentally friendly, sustainable materials, like aluminum. One of the nicest units still features a pure aluminum kitchen from Poggenpohl. We love the smell of building sites, and are often asked by architects to visit them and provide some input based on our extensive knowledge of staircases and interior doors. Sometimes we even drive great distances for interesting projects, like this one which was for a client who lives in Milan, Italy, visited our offices in Switzerland, and renovated this house in France. It was an 80 year chalet in a ski resort, stone structure, and the interior was done up as minimal modern as possible. This is the kind of stuff which gets our juices flowing. 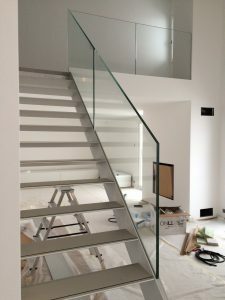 We installed a pure, anodised aluminum staircase (think Macbook Pro) with full glass railings everywhere in the house. The client is an absolute perfectionist, so we got along famously. Minimal design has been a core principle of Insensation since our start. 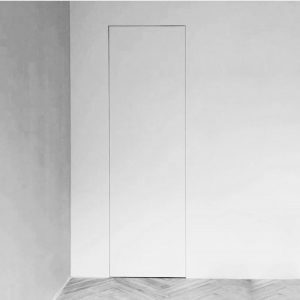 We were early adopters of frameless door technology and are experts in the range of possibility and problems this technology presents. 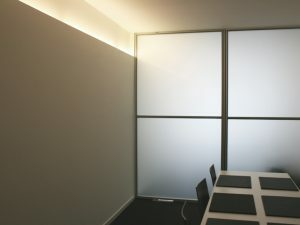 Our frameless glass doors were a pure innovation in Europe in 2009, long before most people knew what ‘frameless’ was. Today we have a full range of frameless doors, in every possible door leaf finish: matt lacquered, high-gloss, italian wooden veneers, glass and even leather. Our concealed 3D hinges come in many finishes, our door levers and locks have won design awards. Lean on us for top-quality frameless doors which will stand the test of time, like us. From the inception of Insensation, we focussed on the use of sustainable aluminum in interior design – long before the word ‘sustainable’ was fashionable. 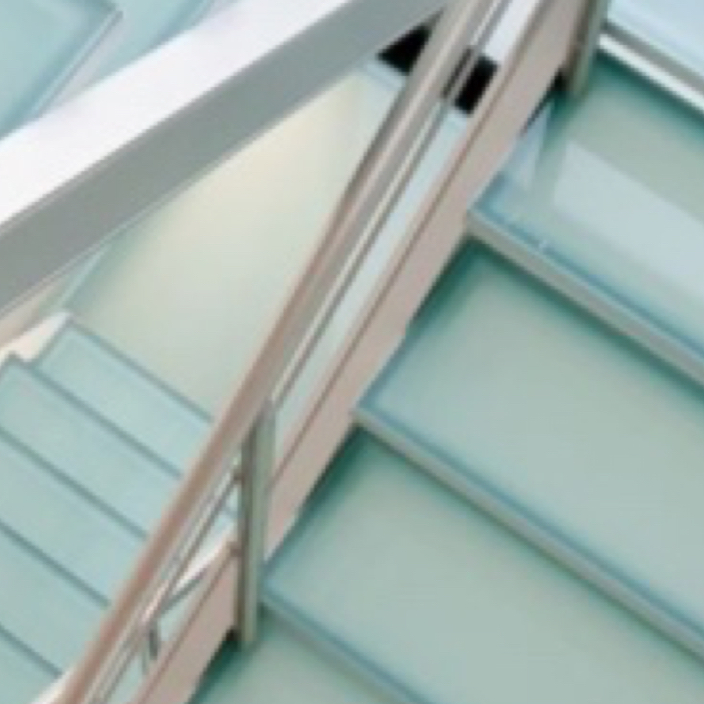 Our staircase designs are either 100% or mostly anodised aluminum, a material with strengths similar to steel, but with design capabilities far beyond. 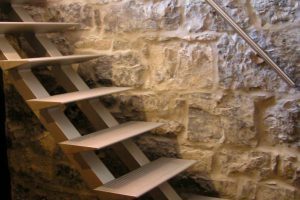 The unique designs of the staircases allowed them to be implemented in all sorts of projects, not just contemporary, as seen in the this stone house which was one of our first projects in a doctor’s house in Geneva. To date we have installed over 1000 staircases in Europe up and down the Alps and in cities like Zurich, Paris, Vienna, Berlin, etc. As of 2015, these great products are available nationwide in the USA. Installations have already taken place in New York, Miami and Los Angeles. In the early days of Insensation, we focussed strongly on high-end interior glass and aluminum doors and walls. 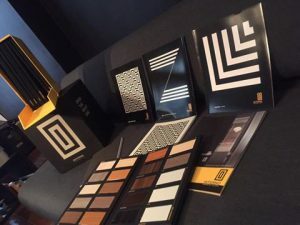 The products were enormously expensive due to their quality and unique manufacturing, providing double layered glass and completely customisable patterns and sizes. In the first few years of this activity, we sold several thousand doors for projects in private residences, offices, hospitals and hotels. 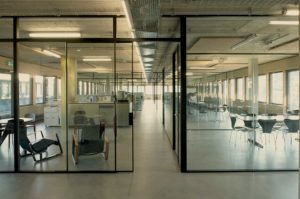 The doors were installed in projects in France, Germany, Austria and Switzerland. 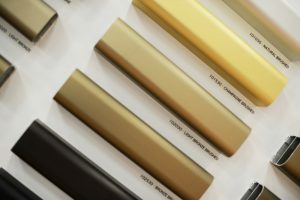 The experience we gathered during these years taught us the significance of high-end interior doors, and proved that the market was very segmented with inexpensive, low-quality products, and those like we sold which are all still in use 20 years later. Insensation was initially founded to develop old factories and transform them into astounding living spaces. 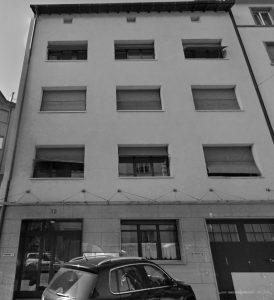 In our first year of business, we bought an old bread factory in Basel, Switzerland and transformed it into amazing lofts with concrete floors, floor-to-ceiling windows and sliding doors in all rooms. The interior design of the building was so popular with designers that the then international marketing director of Vitra lived there. It also housed the first offices of Insensation.